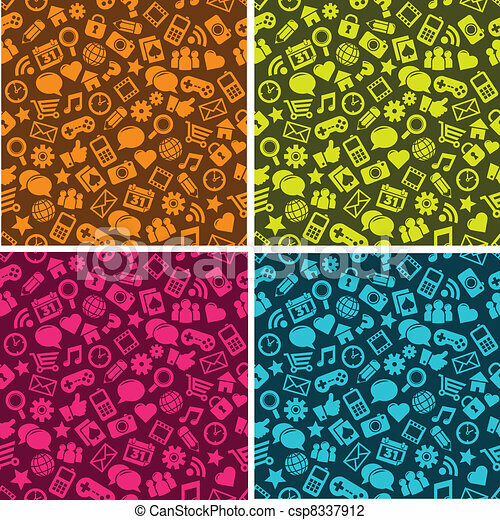 Seamless social media pattern. 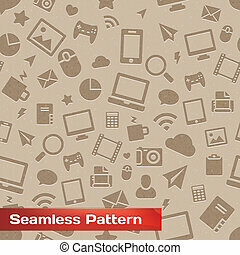 Seamless pattern with social media icons. 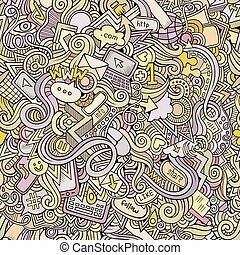 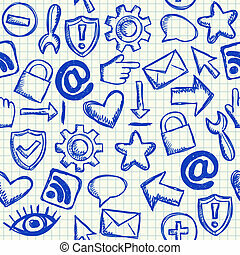 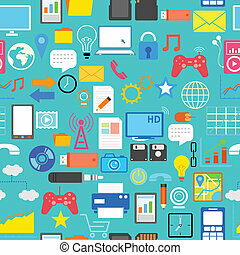 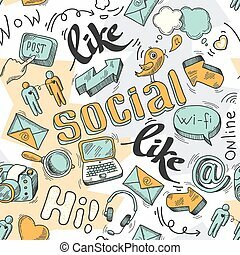 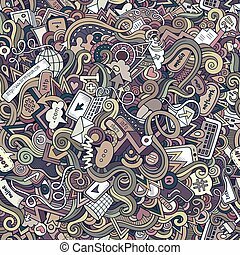 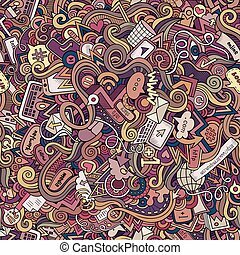 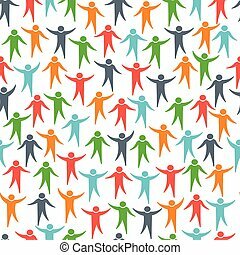 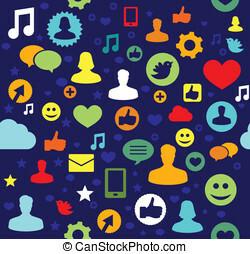 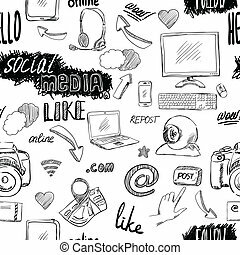 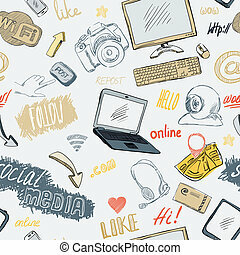 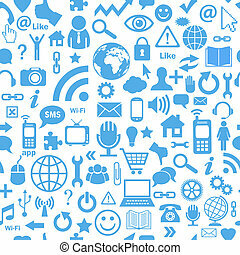 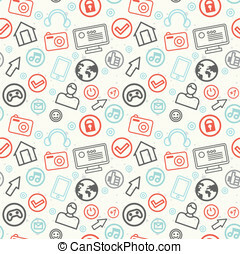 Social Media Line Seamless Pattern. 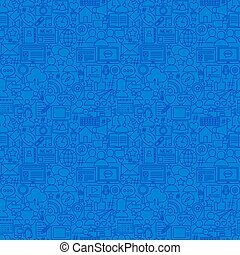 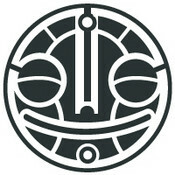 Vector Illustration of Outline Tileable Background.